The art of biohacking can have an enormous impact on how you look, feel, think, perform, and really every aspect of self-improvement. 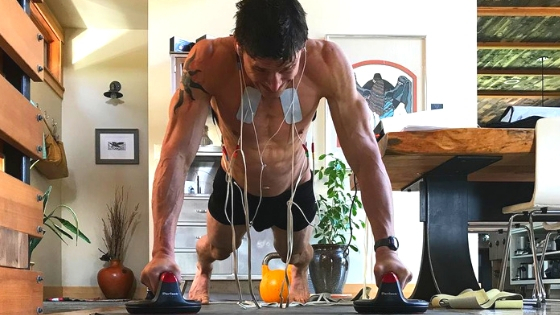 Put simply, biohacking is manipulating your biology through the use of proper nutrition, supplements, specialized training tactics and gear, self-quantification for measuring improvements, and more – all in the interest of being your best self. So take a deep-dive into my biohacking articles and learn all of the tips, tricks, and biohacks developed by the world’s leading experts in health and fitness. You’ll find recommendations for blood testing, supplements, food timing, specialized diets, advanced training methods, using sauna and cold thermogenesis, detox protocols, reducing EMF exposure, and much more! Why I Eat Tapeworms & Whipworms Every Two Weeks: The Fascinating World Of Helminthic Therapy. The Big Problem With Gyms, Why You Need to Exercise Outdoors & What To Do About Air Pollution. 12 Unique, Fringe Mind, Body & Spirit Optimizing Ideas To Grab With Your Holiday Cash & Gift Cards. 11 Indispensable Lessons I Learned From The Biohacker’s Handbook Of Exercise. How I Entered Instant Beast-Mode (& Picked Up A Few Ukulele Tricks) By Blasting My Brain With Electrical Currents.